Thanksgiving is only a few days away here in the U.S. plus, as I'm writing this, my Dad is in the hospital. So I won't be visiting blogs today. My apologies. And I may take a few weeks off from blogging after that to get ready for Christmas. Yeah, I know, I should have done that in August when the stores began stocking holiday wrapping and lights and candy. Grrr. Doesn't it seem that all of the holidays, whatever you celebrate, get rolled into one giant commercial? They skip right over Thanksgiving because it's not commercial enough. But it's one of my favorite holidays. 1) My older son has been cancer-free for five years. This is a huge relief for all of us. 2) I finally finished the rough draft of my fourth novel. Yay! Only took me a year. 3) Excited to announce that two of my short fiction pieces will appear in the print version of Best of Vine Leaves Literary Journal 2014, available for purchase starting December 1. Hope your holidays are sweet and I wish you the best for 2015. 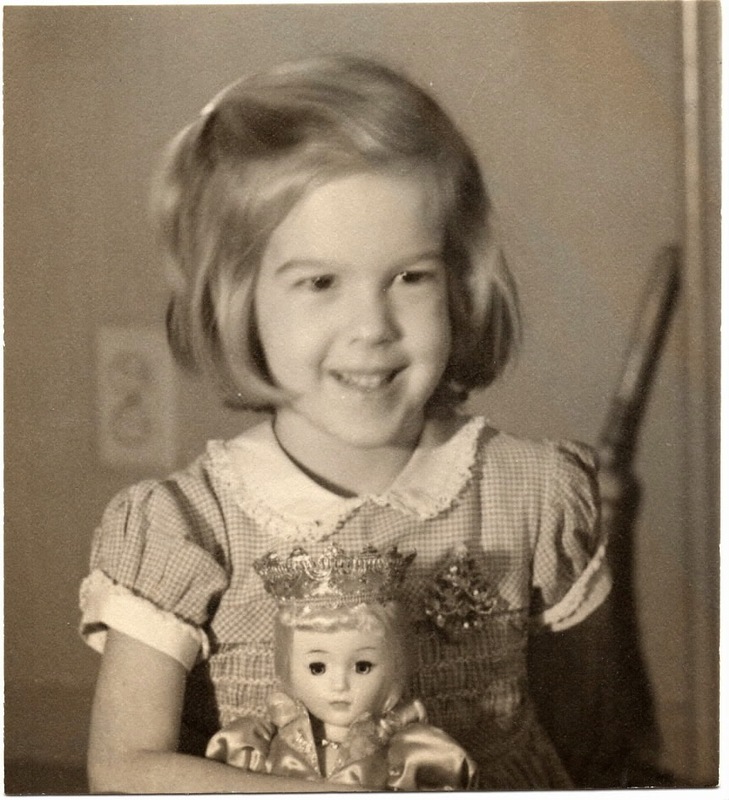 *I live in Pennsylvania, but we visited my grandparents for Christmas that year and I was thrilled to receive this Disney Sleeping Beauty doll. It must have been my favorite movie that year. Synopsis (from the publisher): When Theodora Tenpenny spills a bottle of rubbing alcohol on her late grandfather’s painting, she discovers what seems to be an old Renaissance masterpiece underneath. That’s great news for Theo, who’s struggling to hang onto her family’s two-hundred-year-old townhouse and support her unstable mother on her grandfather’s legacy of $463. There’s just one problem: Theo’s grandfather was a security guard at the Metropolitan Museum of Art, and she worries the painting may be stolen. With the help of some unusual new friends, Theo’s search for answers takes her all around Manhattan, and introduces her to a side of the city—and her grandfather—that she never knew. To solve the mystery, she’ll have to abandon her hard-won self-reliance and build a community, one serendipitous friendship at a time. 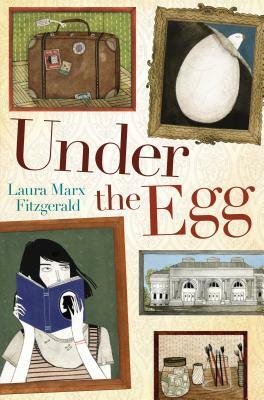 Why I recommend it: This is a smart, sophisticated mystery for older middle grade readers. I was utterly entranced by Theodora, by the marvelous New York City setting and characters, and by the mystery itself, which will keep you guessing. Give this to kids who enjoyed From the Mixed-Up Files of Mrs. Basil E. Frankweiler, Chasing Vermeer and even When You Reach Me (although there's no time travel involved here, just a lesson from the past). Writers, study this fascinating debut novel to see how intricate a middle grade plot can be, while still entertaining the reader. I'm keeping this book because I know I'll read it over again. For other Marvelous Middle Grade Monday recommendations, see Shannon's blog. Synopsis (from the publisher): Henry, Anna, and José head from Boston to Paris for their most dangerous mission yet: to solve the mystery of an international art heist! Shortly after they arrive, they learn that a member of the Silver Jaguar Society is working as a double agent, passing information to the criminal gang the Serpentine Princes — but who could it be? When the senior members of the Society go missing, it’s up to Henry, Anna, José, and their smug new comrade, Hem, to mount a rescue while staying hot on the trail of a missing masterpiece. Running around — and below — a foreign city filled with doppelgangers, decoys, and deceit, the three sleuths discover they’re the only hope for the Society’s survival! Why I recommend it: This well-researched and intriguing mystery is a fun and fast-paced read. 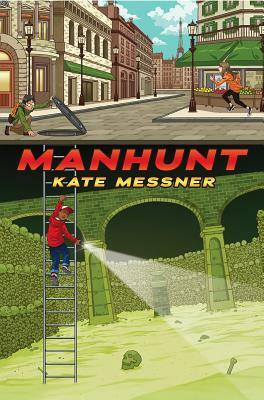 While Messner's Capture the Flag focused on Anna, and Hide and Seek (which I haven't read yet) focused on José, Manhunt is Henry's story. And Henry is worried about his father and his new baby half-sister back home. Messner does an excellent job of filling in just enough detail from the first two books to bring you up to speed. Reading this made me long to visit the City of Light again and especially to go to Shakespeare and Company, the famous bookstore. If you've never been to Paris, fear not! Reading this book is almost as exciting as being there. Have you read any books, set in real cities or towns, that made you want to visit those places? Synopsis (from the publisher): Strange things are happening in Village Drowning, and a terrifying encounter has eleven-year-old Rye O'Chanter convinced that the monstrous, supposedly extinct Bog Noblins have returned. 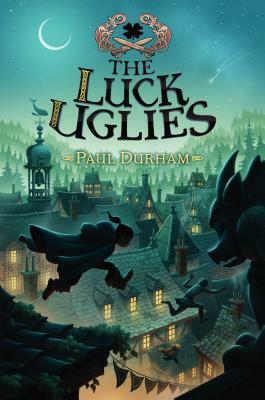 Now Rye's only hope is an exiled secret society so notorious its name can't be spoken aloud: the Luck Uglies. As Rye dives into Village Drowning's maze of secrets, rules, and lies, she'll discover the truth behind the village's legends of outlaws and beasts . . . and that it may take a villain to save them from the monsters. Why I recommend it: If you love fantasy adventures, this book has everything you're looking for: a spunky, engaging heroine, scary monsters, intriguing secrets. There are also plenty of late-night shenanigans with Rye and her two best friends. Add to that a mysterious new resident named Harmless and the odd way Rye's mother has been behaving, and you won't be able to stop reading. A sweeping, highly imaginative tale that will be the first book in a trilogy. Yay! For other Marvelous Middle Grade Monday reviews, see the links on Shannon Messenger's blog.